I feel like I haven’t written anything in like a month….oh wait. The balance of balance of husband, parent, athlete, and blogger were stretched to their limits over the past 3 weeks with blogger losing. 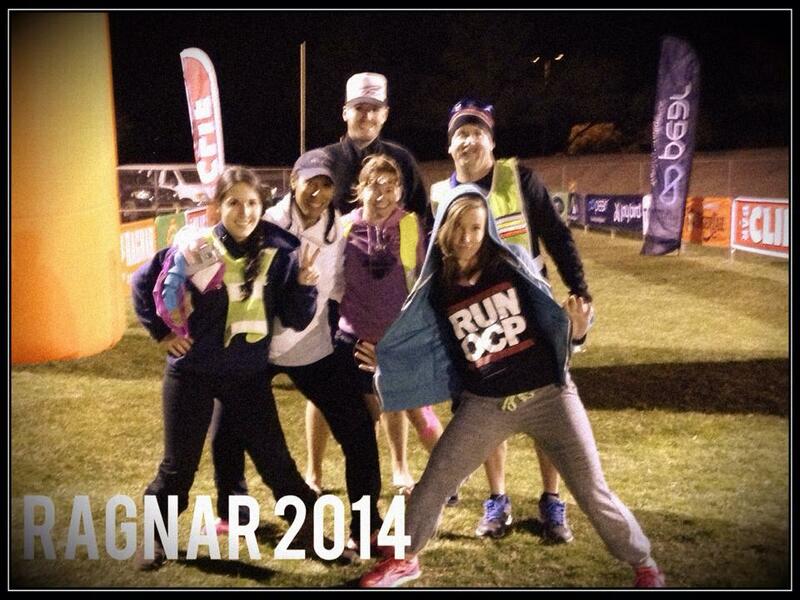 So I will just dive back in with race recap of Ragnar Del Sol that I race in this past weekend. For those whom are not familiar with what The Ragnar series is, it’s a 202 mile relay which most teams consist of 12 runners between 2 vans and starts Friday morning and ends sometime Saturday afternoon. This is the second year I’ve participated both years with the same team and the key to a successful Ragnar is to like your team mates and have fun because 30+ hours in a van with tired stinky people can go south in a hurry. I’m lucky I have an awesome team that doesn’t take themselves too seriously and is there to have fun not set course records. Race morning started at 2:15 AM when my alarm sounded and it was a little rough getting going. I had everything laid out so getting dressed and out the door was a fairly quick process and I was off to pick up my sister and rendezvous with the rest of my van 1 team mates. 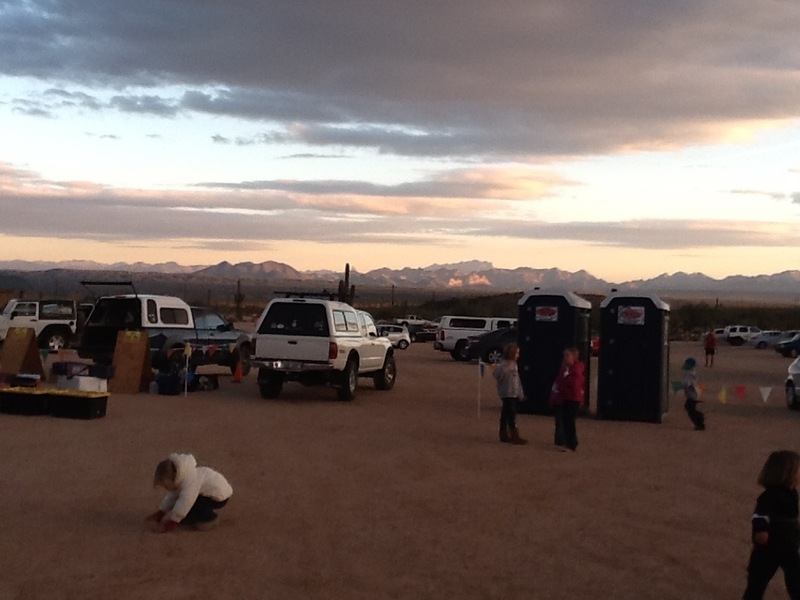 Before you know it we arrive in Wickenburg, and after a safety/rules briefing our first runner was off and the 2014 Ragnar was under way. As the 3 leg runner I had about 2 hours to get ready for my turn and before I knew it I was up. My first leg was 7.1 miles all on road so I went with my new Altra Torins. I was also required to wear a head lamp and reflective vest “night” hours are from 5p to 9a and it was just after 8. I was off the weather was a perfect 55 and sunny with minimal traffic expect for the support vans. I kept the pace comfortable and ended up handing off the baton in 50 minutes and change. 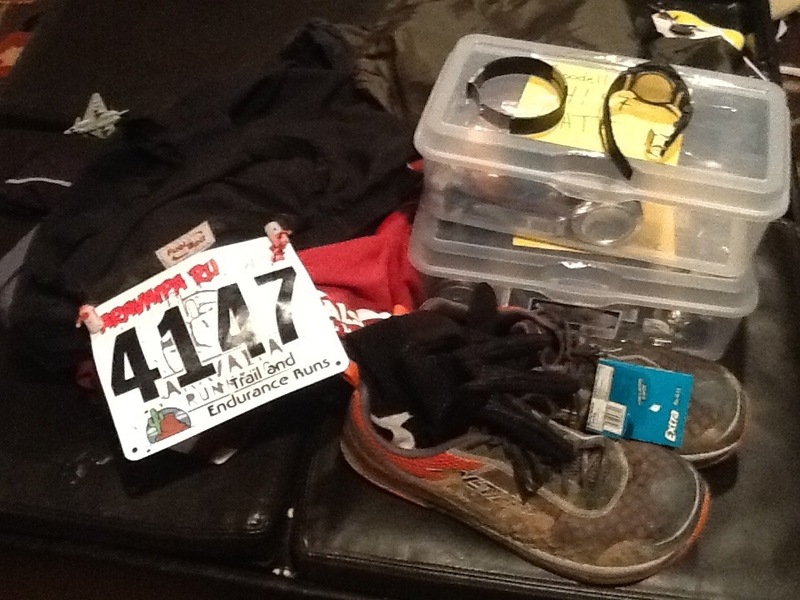 This is where the Ragnar experience gets fun, because now I was done running for 12 to 14 hours. First thing I ate almost all of my dates and the stuff I packed because I hadn’t eaten breakfast and was starving at this point. After the quick recovery it’s vital to not only be a great teammate but also a great participant. Our van is stocked with 20+ signs ready for any occasion along with noise makers and other devices of silliness to pick up runners spirits this becomes even more important farther into the race you get. 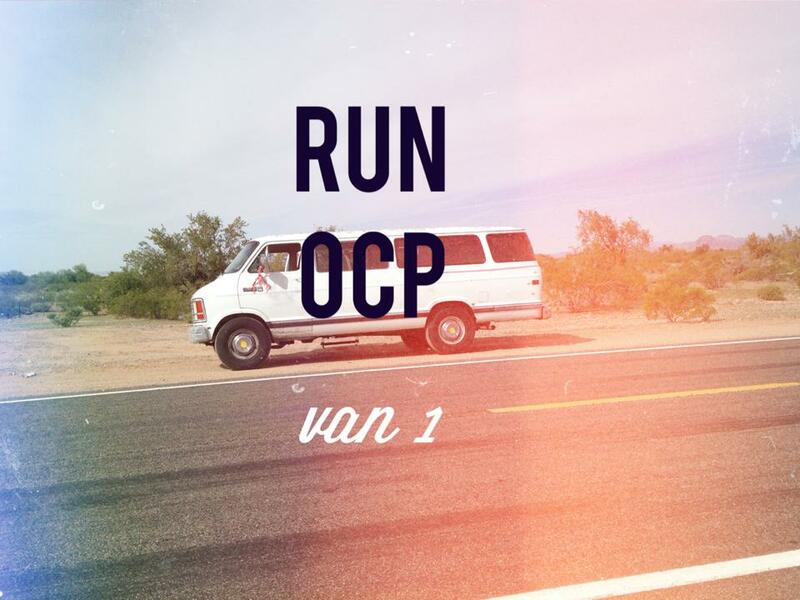 Runners 4 and 5 rock their legs and once the baton is handed off to runner 6 the final runner of the first segment we drive ahead to the next exchange where we will hand off to van 2’s first runner. This exchange point obviously had a lot more going on than our 5 previous due to both vans being there and it being van 2 starting point, we meet up and wait at the exchange corral and before you know it the exchange happens and we are free for 7 or so hours. Now if you’ve ever been to any restraint around the time the bars shut down you know things can get “interesting” and this night would be no different. We had just walked in the door and drunkard was already giving me the “you think you’re better than me?” look. When we were seated first he let me know of his displeasure and of course I responded with a shrug and a wink as we were taken to our table. Obviously Denny’s is not known for their high quality plant based cuisine, I settled with some hash browns and a plain english muffin to get carbed up. While we waited for the food my new drunk best friend made his way through the dining room and made a stop at a table to express his displeasure about something before making his way to the restroom and continued his rant on his return to his seat. The guys at the table had also been drinking so lots of words were exchanged and of course the drunken girlfriend factor that always helps in these types of situations, at this point the manager stepped in and kicked out the drunken dude and things quieted down. I took the opportunity to go change and take a baby wipe bath and wash up a bit, upon my return the food at been brought to the table and we dug in. I was pretty certain the hash browns had been cooked in butter but at this point I worked through it and wasn’t going to sweat it. We finished up and headed out to the next transition to try and catch nap while we waited for van 2 to come in. The time arrived and we were not prepared for the speed of runner 12 and they called us to us she was waiting at the corral, so we hide tailed down there and made the handoff. It was now somewhere around 5 in the morning and this is the point where I just wanted to run and get my last leg done which made the time creep by. But slowly but surely our first runner finished her leg and now I was on deck just waiting my for my trying to loosen up a bit and stay warm in the fading darkness. I went with the Lone Peaks 1.5’s again since they did so awesome the stage before, and I would be running on loose pack on the shoulder of the road that the 9.1 mile course ran along. They call out our team number letting me know it’s about that time to get to it. I tried to get as loose as I could but between sitting in a van and dehydration plus the temperature I was still pretty tight and my first couple miles were up hill so I was prepared for the slow. I was off and it was tough to get my rhythm going and of course once I found it I got stuck at a red light. Once I got up the hill it was smooth sailing flat and no stop lights for the next 7 miles only thing I had to deal with was the sun rise and highway traffic. At 1 hour and 11 minutes I was finished with the 23 miles that I was responsible for and there is nothing better than finishing on a high and feeling great. Slowly but surely everyone knocked out their legs and we were finished! The only thing left to do was to cross the finish line as a team, but that was still 5 hours away. So first thing first we went to lunch, however where we went I knew didn’t serve anything that I would eat so I ran to the grocery store next door and had some veggie rolls made and brought them back. Last year this wasn’t an issue this year I guess it was as the manager with zero customer service training fed me a line of B.S. about bringing in outside food is a health code violation. I laughed out loud and asked what he had for vegan low fat options and he replied “yeah we have that stuff” I again laughed and went out to a bench to consume my oh so delicious veggie rolls. I returned to my teammates upon finishing them and sat without any other issues, the waitress was decided it was appropriate to bring to our attention her displeasure with the gentleman that asked me to leave. We were all pretty sure she is the one that originally complained and now moments before we got the check she wanted us to know who the real bad guy was #classy. Once we settled our tab and headed it out we got word that there had been an accident on course not involving Ragnar but had backed up the racers and required a detoured course. With nothing else to do but wait we headed to the finish line and spread out blankets and relaxed, the boys and Sarah showed up and we all got to hang out once the rest of the team in van 2 showed we knew our final runner would be soon to follow. Sure enough not to much longer after that we saw her and met her a few hundred feet from the finish line and we all completed another Ragnar Del Sol together crossing as a team 30 some hours and 203 miles covered. 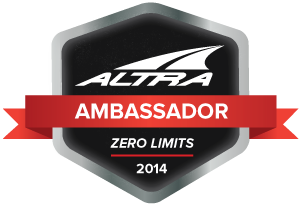 Tags: altra, diet, fat2plant, fitness, health, Marathon, Plantpower, ragnar, Running, Ultra marathon, weight loss, Wordpress, zerolimits | Permalink. Tags: diet, family, fat2plant, fitness, health, Marathon, Running, Ultra marathon, vegan, weight loss, Wordpress, YouTube | Permalink. Recovered and Ready for More!!!! I’m feeling pretty good after taken a week off from any real training and am now ready to plan out 2014 and figure out what i want to achieve not only race wise but also in the bigger scheme of things. I have a strong desire to hire a coach and really see what i have in me and see what has yet to be tapped into on my own. On the other side of the coin I want to help others tap into their own potentials with health, weight loss and confidence in themselves. With that being said im hoping to add a variety of content in different categories to Fat2Plant from recipes to videos. I hang out with a 2 year old all day and now that he is potty trained I need a new challenges and goals. My recovery time has been great no stress of getting runs in is always nice and now my feet are back to normal things are even better. Everything has seemed to have healed up, I was able to drain my toes and relieve the pressure, much better. I realized yesterday how much better the holiday season will be with out having to worry about training. This is not a free pass to go nuts and eat garbage and not work out, just nothing written in stone. I guess the goal is to just maintain for 2 weeks then start my “training” for Ragnar Del Sol. which consist of nothing formal maybe some speed work for fun. If anyone has suggestion on specific content you would like to see leave it in the comments or any other questions do the same. I’m really excited for things to come! Tags: diet, family, fat2plant, fitness, health, Marathon, Running, Ultra marathon, vegan, weight loss, Wordpress | Permalink. 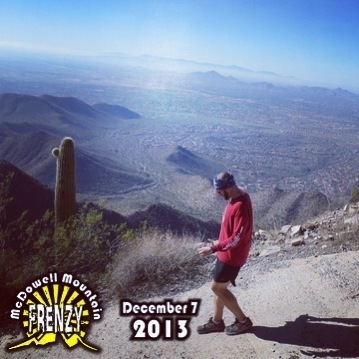 McDowell Mountain Frenzy 3 Days Later…. Originally I had planned a video checking in through out the day of the race, but it turned out dumb probably should’ve worked those details out before hand. 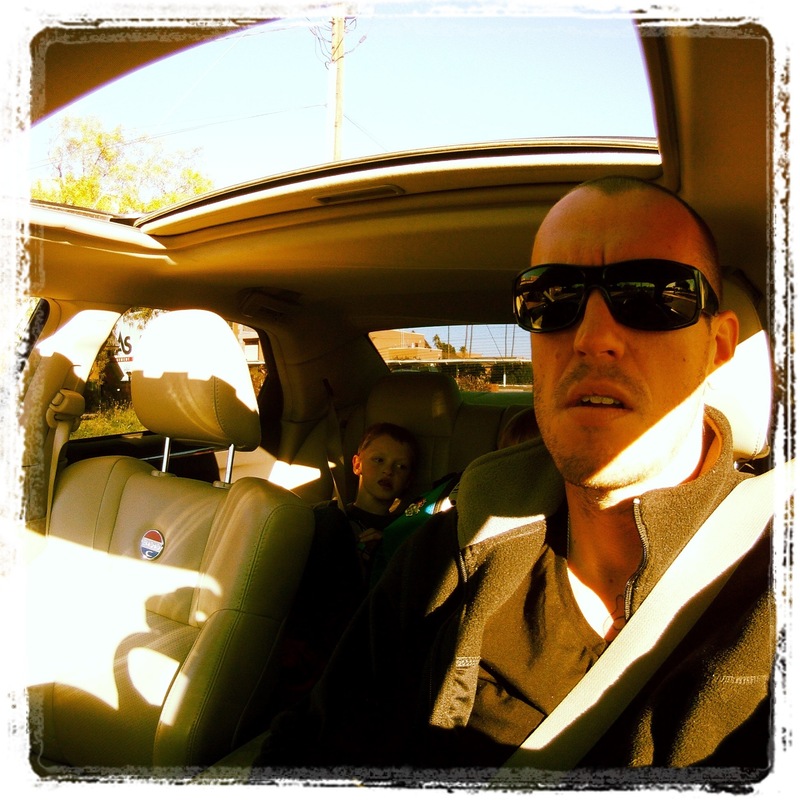 Live and learn…. Fiji water I headed out to the desert. 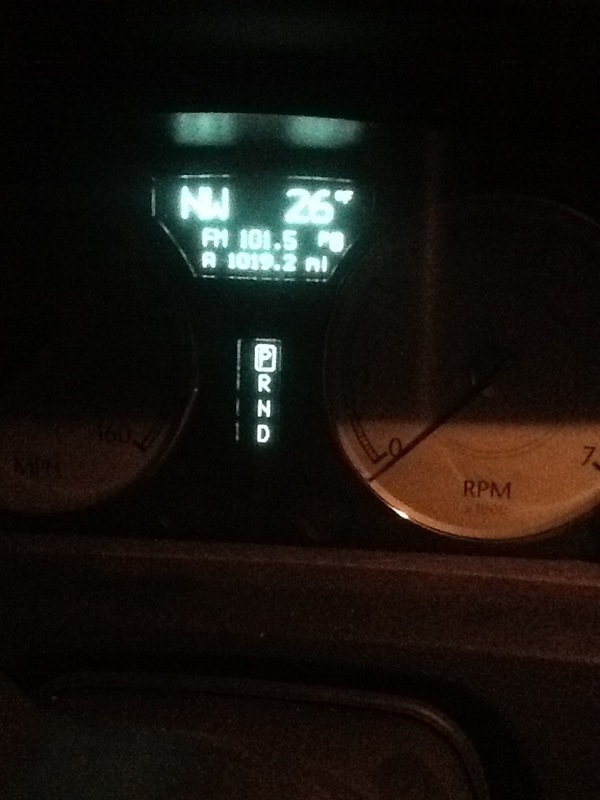 I watched the temperature read out on my dash start ticking away like a some horrible countdown that finally stopped at 26. It was literally freezing!!! I did a walk though of the starting area and dropped my drop bags in the appropriate areas and quickly returned to the comfort of the car. I got myself together and all geared up with about 20 mins before the start and headed to the starting line with about 35-40 other runners huddled under three heat lamps. After a quick briefing the time had come and we were off. Everyone did their shuffling and by about a mile in everyone seemed to settle in. There were a few times I wanted to speed up but kept myself in check, the first 20 miles flew by feeling pretty good I was hydrated and fueled and slowly beginning to warm up. The one thing I did realize early on is that I had done almost no actual trail running prior to this race plus no hill work (this is called foreshadowing). The aid station at about mile 21 was the first time I really sat down and took a minute to take off my gloves and pants and eat some actual food, then I was off again. The best part of the race is the two and a half mile climb to the top of Thompson peak a few miles short of the halfway point, it was brutal. I’ve ran the Mount Lemon Marathon in Tucson which is all uphill and this 2.5 miles was worse than that! You could just watch as everyone would try and come up with a better way to get up this beast, from side steps to walking backwards. I hit the top (22.5 miles) at 4 hours and ten minutes and sitting in 15th place. I was super stoked about both and could focus on getting either a sub 9 hour and/or a top ten finish. Down the mountain I headed and the tricky part of the descent was the surface would go from rough dirt road to old concrete, I was able to pass 3 guys on the way down. Somewhere between the bottom of the descent and mile thirty is when nature called and there is no holding it until the next aid station to use the porta potty, there are none on the course. But this was no big deal because the call I got only required a quick flip out and I would be on my way. Turns out my colon got jealous of the relief my bladder was about to get. This quickly became an issue. I locked down both systems until I could come up with a plan, the biggest thing missing from the plan was TP. My paced had slowed at this point. I was hoping to come across some litter, turns out no litter bugs in those parts and a decision had to be made, I had struggled for about 2 miles at this point. That’s when I was passed by one of the guys I had passed early, that was the last straw, I was wasting time for vanity. So BAM I handle my business behind some bushes and grab a rock for after care and I was back in the game! Nothing better then running without that tension in your gut… At mile 30 I was at the 6 hour mark I figure I lost at LEAST a half hour if not closer to 45 with potty nonsense, but I was still feeling okay about the 9 hour mark. The trail from 30 to 38 was pretty smooth and I was able to find a steady rhythm and pace with one aid station in the middle so my bottle was full and I had plenty of nutrition. As I approached the last aid station at mile 38 is when I started feeling the affects of not being trail/hill ready. My ankles and Achilles had started to let me know about their displeasure. I loaded up at the station and headed out. Maybe it was the fact I had already ran almost 40 miles but I was totally clueless on how far I had left. I knew I had to hit the start finish line and then had a 5 mile lap, I just thought I was like 4 out not 7 from the first pass of the start/finish line. The trail was pretty technical at this point and my Achilles were full on rocked to the point were I was changing my gait and putting more stress on my quads. Then bim bam BOOM I went down. I laid there for a second looked around and got up and did a quick inspection no real damage to my body but I blew up my nearly full water bottle. This is when things got rough I was super tense and every time I tried to pick up the pace my lower legs felt so tight after the fall any up or down hills sucked. Then I got passed. I hadn’t seen anyone for 3 hours and this lady comes strolling by. I made it to the start/finish line aid station at 9:14 and was greeted by my boys and special lady, it was a good pick me up. I got a drink, filled my bottle, and head out for my last five miles. The family buzz lasted for about 3/4 of a mile; when the death march set in and I became super frustrated because I was still mentally fit and never felt like I was going to bonk or that my fitness was not up for the challenge. The next 4 miles were brutal. I was passed 3 more times and was racing the sun. I was able to come to peace with it all and realize that I’m so close to having this ultra thing figured out. 10 hours and 56 minutes I crossed the finish line with my boys cheering and happy to be finished. 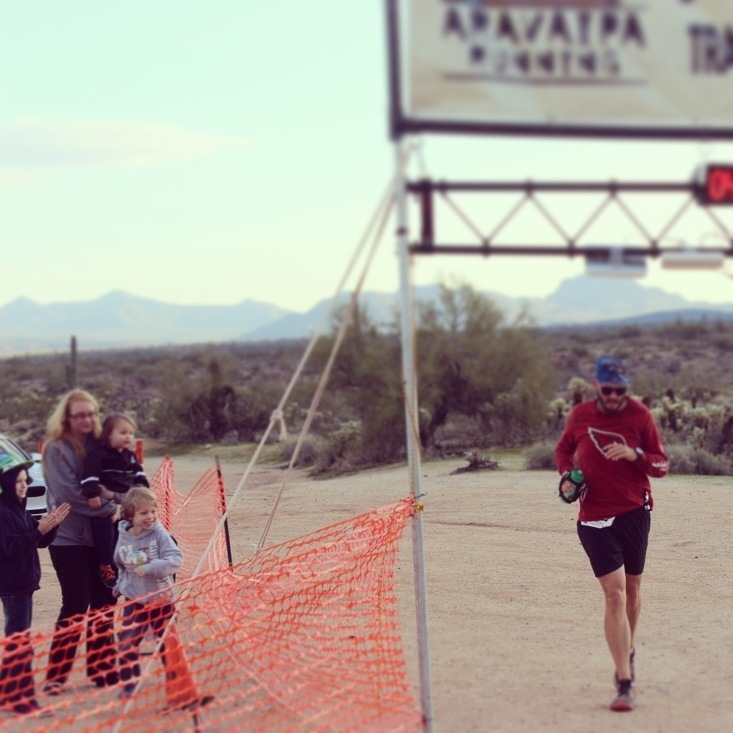 My wife handed me a shot of tequila and a plate full of watermelon and I headed home an Ultra Runner…..
Full race recap to come! I woke up and it was FRIDAY!!!!! 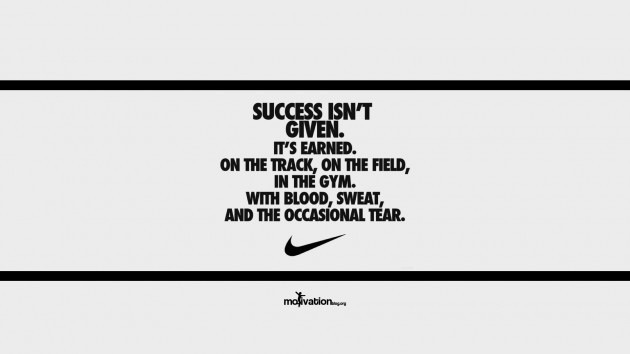 Good luck to everyone who has a race this weekend and to those who are just focused on achieving optimum health!!!!!! Tags: diet, fitness, health, Marathon, motivation, Plantpower, Running, success, Ultra marathon, vegan, weight loss, Wordpress | Permalink. We are in the home stretch!! With less then a month left in my training for the McDowell Mountain Frenzy 50 mile trail run I have to be completely honest and say I feel great! I ran a 26.5 mile run Saturday afternoon and killed my previous marathon time by over 30 mins and I was on a self supported training run all by myself with no intension on running at that kind of pace. 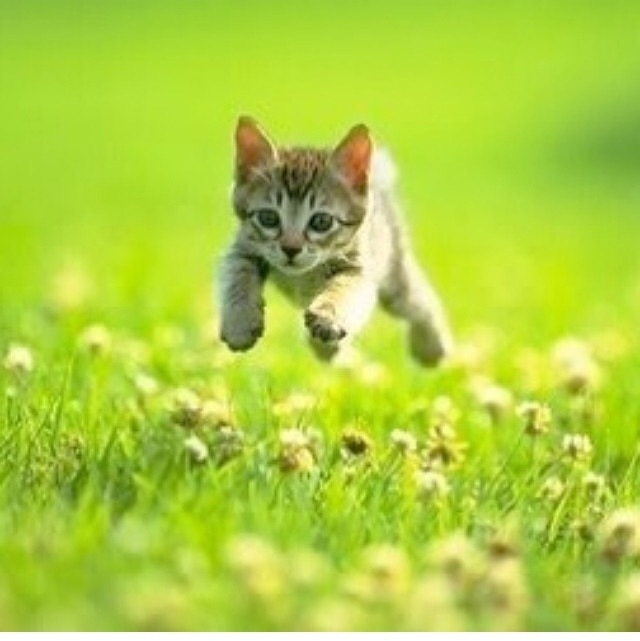 While others may get nervous when things are going well and are waiting for the other shoe to drop, not this guy! I thrive on the good times and trust in my training and ability. 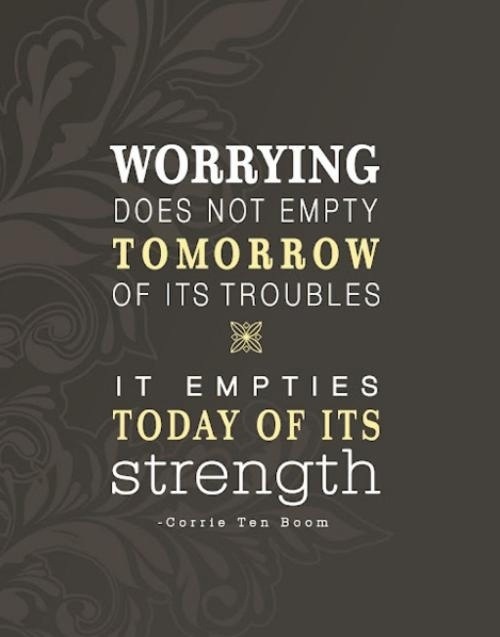 I can’t worry about what MAY happen only what IS happening. At the same time I’m not being reckless, I’m not adding a bunch of extra miles to my weekly totals or trying new things. Just sticking to the plan, loving every minute of it. I have begun trying to square away my in pre and in race nutrition. 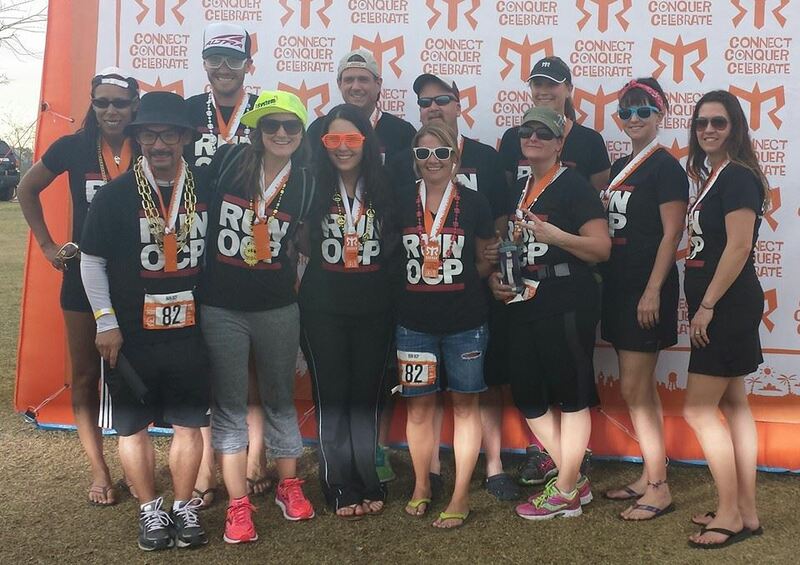 At last years Ragnar del Sol I winged it and paid the price dearly with some of the most amazing GI cramping and other unmentionable consequences. Never again! In the past I’ve always been interested in what others do as far as getting ready and their routines. I’m going to make an effort over the next few weeks to post about specific things I have done or am doing, from my shoes to how I recover. I’m no way an expert but I know what has worked for me and maybe it can give someone else a chance to pick up something they hadn’t thought about. At the same time I would love to hear what others do or have done, especially those who have experience at the ultra distances. Tags: fat2plant, fitness, health, Marathon, Running, Ultra marathon, vegan, weight loss, Wordpress | Permalink.